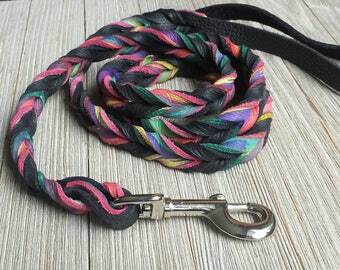 Braided Bullhide Coupler with swivel so your dogs dont get entangled. 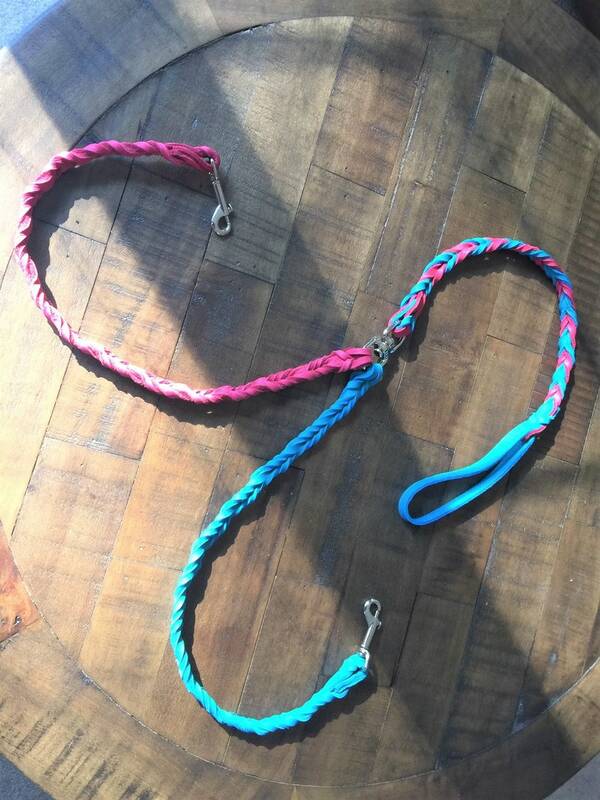 The leash part is 24" and the 2 parts attaching to the collars are 24" too. We can customize your coupler with length, thickness and number of attachments. We can change the colors too. Hunter green, pink, black, gold, purple, turquoise, vanilla, tobacco.